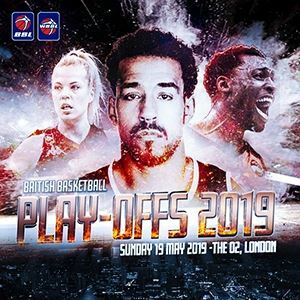 The 2019 Basketball Play-off Finals is once again at the spectacular surroundings of The O2 in London and will be the biggest event in the British Basketball calendar. Taking place on Sunday 19th May, it will be a landmark edition - as the fifth to be held at one of the world's leading basketball Arenas. With both the men's (BBL) and women's (WBBL) Play-off finals taking place, you will see the climax to the 2018-19 season in this exhilarating end-of-season double bill. Leading the support cast will be fantastic entertainment for you to enjoy alongside our incredible BBL Dancers and our very own dunking mascot that will live in the memory forever!